Encountering the Monster provides an intimate look at the imaginal life of young children as it unfolds in series of dreams. The fruit of a ten-year-long project that began with learning how the Malaysian Senoi teach their children the art of dreaming, the book, and the research behind it, tries to answer the question, How do children who are not taught this art encounter monsters in their dreams? Like heroes of myths and fairy tales, children dream of going to a mountain, a forest, or the sea and there meeting a monster. Or else the child is called to an adventure by a monster intruding upon the family home. In the encounter with the monster, the child's first impulse is often to retreat, but eventually the child takes up the adventure, dealing with the monster by the strategies of combat, taming, or being engulfed. Encountering the Monster stands as a unique work in a much neglected field. The centerpiece of the book is a careful discussion of three series of dreams, amplified by means of the works of Carl Jung, Erich Neuman, Mircea Eliade, Marie-Louise von Franz, and others. 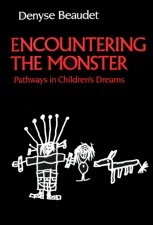 The author provides convincing evidence of the variety of strategies children spontaneously use to cope with the monsters in their dreams and offers fresh insight into the meaning of such encounters. Her discovery of recurrent themes, developmental patterns, and even gender differences in the dream life of children has important implications for a better understanding of child development. But the greatest value of the work is the methods it develops for understanding and interpreting children's dreams that are easily adapted to the interests of parents, teachers, and counselors.